998 copies. Stoughton mini-lp gatefold CD sleeve. 12 art prints and photographs by Peter Lograsso. Mastered by Corey Fuller. Spanning across two CDs, Salvaged Violets is perhaps one of the most elusive Celer releases ever. Recorded by Will and Dani Long throughout 2008 as they were frequently distant from each other for work reasons, it is the fruit of a progressive series of solitary sessions that were reciprocally developed with the passage of time, without discarding anything but only working on what was left before, on and on until completion. There is no way to memorize details in this sporadically consonant, more often clustery amassment of electronic clouds. Both chapters are heavily informed by continuous blurs of hovering frequencies, neither indicating a real direction to follow nor giving even vague hints about the actual origin of the sonority. As it regularly happens with Celer, this is music that might occasionally evoke classic ambient, ultimately representing another step into their unique world of mesmerizing fluidity and deep reflection. We just need to let it go, finding the right moments to be entirely absorbed by the accumulation of resonances, getting glimpses of subsonic movements, enjoying the ripples and the ricochets that these unclassifiable sounds cause in the surrounding environment. Additional words are unnecessary for this item, destined to enchant many seekers of reminiscent quietness. No text whatsoever appears on the gatefold package of the two-CD Infraction set Salvaged Violets (though two of the six card inserts do display a poem and a few clarifying details), a minimal move in keeping with the release itself, which, as stated, presents the Celer sound at its most stripped-down. 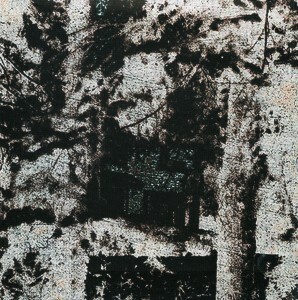 Recorded in February of 2008 (available in a run of 998 copies and mastered by Corey Fuller), the release dispenses with track titles altogether, opting instead for each disc to present a single setting that hovers blissfully in the air for an ultra-serene stretch of time, seventy-five minutes on the first CD and seventy-nine on the second. Warbling tones advance and recede backed by a near-subliminal cushion of hiss in such an ethereal and slow-moving manner the material begins to sound like some sci-fi soundtrack designed to accompany dialogue-free sequences of shuttles drifting through space. As excessive as the project might sound on paper, in practice the project’s length enhances its immersive effect. Having attuned oneself to the material’s ever-so-slow unfolding, one becomes all the more aware of the ripples’ subtle resonances as they bleed off of one another and collect into multi-layered form.